Cruise News Viking Cruises The Longest-Ever Continuous World Cruise Has Been Announced! Viking Cruises which is known for luxury river cruising and ocean cruises has announced the ultimate world cruise. This will be the longest ever continuous world cruise lasting for a total of 245 days! If you love cruising and can’t get enough of traveling at sea then this is a dream come true! 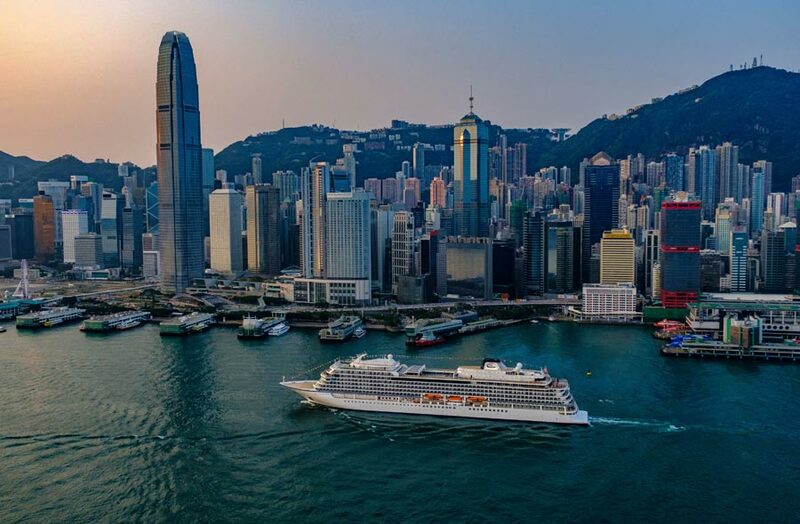 Viking Cruises will visit six continents, 59 countries, and 113 ports, with 22 port overnights with Viking Sun, a luxury cruise ship offering the very best 5-star service at sea. Viking Sun will depart London, UK on August 31, 2019, and the ship will sail around the globe lasting a total of 8 months. Cruisers who think a voyage like this is too long then Viking is also offering options for shorter segments of the world cruise. There will be Viking World Treasures cruise spanning 127-days and including 61 ports of call. The Viking World Wonders cruise will last for 119-days departing from Los Angeles and featuring 55 ports of call. Pricing for Viking Ultimate World Cruise start $92,990 per person, Viking World Treasures starts at $47,995 per person, and pricing for Viking World Wonders start at $45,995 per person. All three of Viking’s new world cruise itineraries include Business Class international air, transfers to and from the ship, all gratuities and service fees, three complimentary visa services, free luggage shipping services for embarkation and Viking’s Silver Spirits beverage package covering virtually all drinks on board. From now through December 31, 2018, each guest who books the Viking Ultimate World Cruise will also receive $4,000 in shore excursion credit for any optional land programs and $2,000 in shipboard credit, which can be used toward optional tours, spa services, onboard shops and beverages. Guests who book Viking World Treasures or Viking World Wonders before December 31, 2018 will receive $2,000 in shore excursion credit per person for any optional land programs and $1,000 in shipboard credit, which can be used toward optional tours, spa services, onboard shops and beverages. 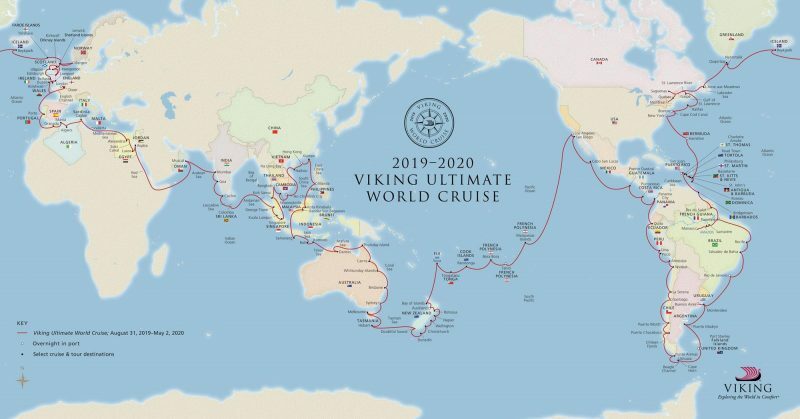 Viking Explorer Society members sailing on Viking Ultimate World Cruise will receive an additional $2,000 in shipboard credit per person, and members sailing on Viking World Treasures or Viking World Wonders will receive an additional $1,000 in shipboard credit per person. Viking’s ocean ships have a gross tonnage of 47,800 tons, with 465 staterooms that can accommodate 930 guests. Viking Sun is the fourth addition to Viking’s award-winning ocean fleet. The ship has all verandah cabins starting at 270 sq. ft. and there are different categories to choose from. There are also Explorer suites starting at 757 to 1,163 sq. ft. Viking Sun has two pools and one of them is a glass-backed Infinity Pool found at the ships aft. This is no doubt among the best cruises itineraries you could ever experience but do remember longer cruising isn’t for everyone and the cruise line does already have other world voyages choose to from.